There are moments in life when, for the greater cause, you have to play unfair—break some rules and leave the competition behind. 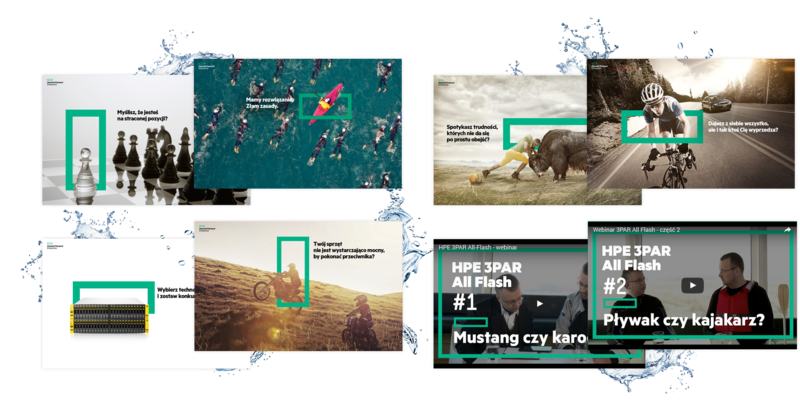 That is why we have, one more time, joined forces with the FFW agency in order to achieve the best score when working on the new Hewlett Packard Enterprise project. 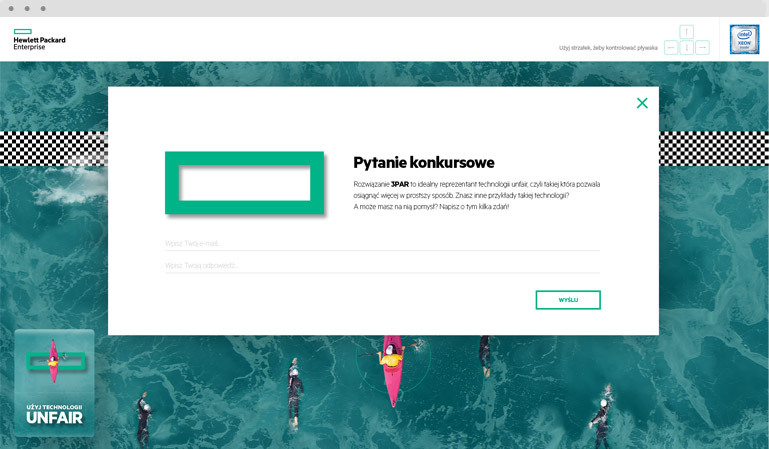 Frogriot was appointed with the task of creating a WWW website that would present the Unfair technology used in the HPE disk arrays—crushing the competition with lower prices and higher efficiency. While designing and working on a fully responsive website, wybierzflash.pl, we kept in mind to emphasise strongly the specificity of the Unfair storage array that leaves the competition far behind. The website consisted, amongst others, of a part presenting the technology and inviting to the webinar on that particular subject. That was the core part of the campaign, on which we have focused our actions. To stress the concept behind the Unfair technology, we have also created an HTML5 on-line game for the users who signed in for the webinar. The rules of the game were closely related to the product and the KV motif: the user was to kayak and get ahead of their opponents. To underline the most important of the Unfair technology features, we used a simple and clear trick—no matter the difficulty level… the user always passed by their rivals and won the race! Everyone taking part in this little game of ours, was awarded with a small gift—a voucher for App Store and Google Play.